School of Mechanical Engineering & Automation, Northeastern University, Shenyang 110819, P.R China. The finite element method is adopted to establish the dynamical models of blade, bladed disk and blades-diskshaft assemblies. Based on the analysis of mistuned structure and the dynamic characteristics of model in different levels, it gives the vibration mode distribution of different models. The research shows that the characteristics of the bladed disk and shaft have a huge difference, where some modes are caused by the strongly split and coupled vibration. The mistuned effects are likely to cause different coupled vibrations of blades between the blades-disk model and the blades-disk-shaft model. Meanwhile, it shows the frequency separation and concentration, and misses the system mode and the local vibration, which bring some difficulties for designing the blade-rotor system. 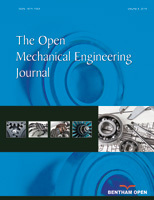 In this paper, the results may provide a certain reference for blade-rotor system design and diagnosis.